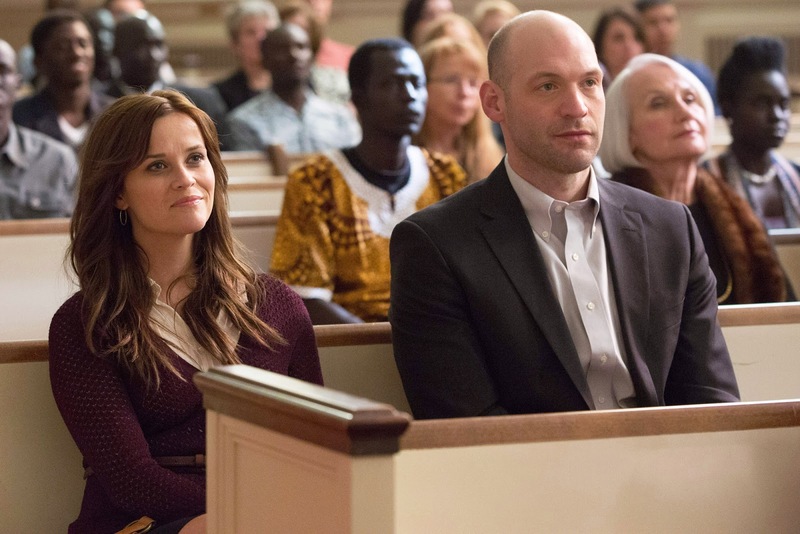 Reese Witherspoon and Ant-Man’s Corey Stoll star alongside a gifted set of actors Arnold Oceng, Nyakuoth Wiel, Ger Duany and Emmanuel Jal who are also real-life Sudanese refugees in the deeply moving story of “The Good Lie” where orphaned children survived during the civil war in Sudan in the early 1980s. “The Good Lie” unveils the survival story of the children known as “The Lost Boys” of Sudan, young victims traveled as many as a thousand miles on foot in search of safety. Fifteen years later, a humanitarian effort would bring 3600 lost boys and girls to America. Most Americans knew very little of the civil war in Sudan or of its most vulnerable victims: the more than 100,000 children left orphaned and displaced in the wake of the brutal violence that ravaged southern Sudan. But the U.S. and Sudan were about to be integrally connected by a program that brought thousands of these young Sudanese-called "the Lost Boys"-to American cities from coast to coast in the largest resettlement of its kind in U.S. history. Though the characters in the film are fictional, "The Good Lie" mirrors what was experienced by many during those years, capturing the tragedies and the triumphs in a story that celebrates the strength of the human spirit. Many boys were able to escape because they were in the fields taking care of the cattle. They had been told by the elders that if anything happened, they would be safe in Ethiopia or Kenya, so these children-mainly boys but also some girls-walked nearly a thousand miles for as many as four years." When screenwriter Margaret Nagle first learned about the Lost Boys she knew she wanted to tell their story and "shed light on a place that's dark, which is what I always want to do as a writer, and at the time, this was a humanitarian disaster of epic proportions that was unknown to most people. Reese Witherspoon notes, "I was immediately pulled in by the story of the Lost Boys, just seeing their struggle and how they fought to survive...and then getting the opportunity to start over again in America and what inherent challenges that presented to them. The script really offered a perspective of these two worlds meeting." Starring as Carrie, Reese Witherspoon says, "We see their acclimation to America partly through her eyes. As much as it was an incredible opportunity for the Sudanese to start a new life in America, it was also a challenging and difficult cultural adjustment for a lot of them, who were still dealing with the trauma of their early life. "It's rare to be part of a film that crosses so many cultural lines," she continues. "This story brings those lines together and finds the common humanity in them, while exploring things like isolation, perseverance and the importance of family. It raises a lot of good questions, and I think director Philippe was able to get them all on film, which made it such a rich, rewarding experience for us." “The Good Lie” is now showing (opened July 29) exclusively at Ayala Malls Cinemas nationwide. Check www.sureseats.com for online ticket purchase and reserved seats.